Cynthia Nixon has come out in support of right-to-strike laws for public sector workers in New York. Backing such laws nationally should be a litmus test for all political candidates. New York gubernatorial candidate Cynthia Nixon released her labor platform last week. It contains support for a safe-staffing law, a perennial demand of nurses unions that mandates nurse-to-patient ratios that are high enough to ensure nurses aren’t run ragged and patient safety is strong, as well as provisions for increased safety and apprenticeship programs in the building trades —a group of workers Nixon previously upset with remarks suggesting they would have to take pay cuts to help lower the cost of subway construction. Arguably more important are the broader, more ambitious, and more difficult proposals: support for universal just-cause protections, which would shield all workers from arbitrary firings and discipline (standard in union contracts), and a $15 minimum wage across the whole state, not just the New York City metropolitan area. Especially important, though, is Nixon’s call to establish the legal right to strike for public sector workers in New York state. While New York is legally favorable to worker organizing in many ways, it has some of the most draconian anti-public sector labor laws in the country, most of which are compiled in the Public Employees Fair Employment Act, commonly known as the Taylor Law or the Taylor Act. Public sector worker strikes have been critical in raising class consciousness in the United States, both in 2018 and historically. They can reveal the anti-working-class outlook of the Democratic Party — and even some union officials. Even if the law doesn’t change any time soon, simply raising the issue, as Nixon has, could raise the level of worker militancy in New York and around the country. The Left should make public sector right-to-strike laws the next “litmus test” for progressive candidates, similar to current demands like supporting Medicare for All and rejecting corporate campaign donations. The media and the Right immediately seized on Nixon’s right to strike proposal. “That would be really bad for all New Yorkers, especially poor New Yorkers. The more you depend on public services, the more you’ll have at risk if public employees are allowed to strike,” E.J. McMahon, of the anti-union Empire Center For Public Policy told the New York Daily News. No one should be surprised that anti-union hacks would pit elements of the working class against each other. 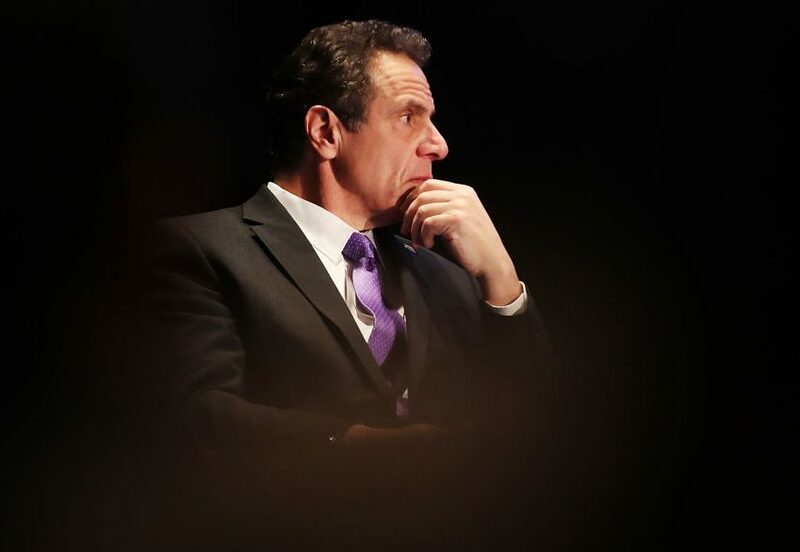 But it was more surprising to watch union-endorsed Democrats like Andrew Cuomo and Bill de Blasio publicly declare their opposition to Nixon’s proposal. “I don’t agree with changing the Taylor Law. The Taylor Law serves an important public purpose and at the same time there are lots of ways for workers’ rights to be acknowledged and their voices to be heard. I think we have the right law now,” the New York City mayor said. Even more disturbing was watching union officials attack Nixon for saying their members should have the right to strike. Civil Service Employee Association president Danny Donohue said, “It is incredibly naïve for Cynthia Nixon to propose that all public sector workers be able to strike. Clearly, she does not have the experience needed to be governor of New York.” CSEA represents more than 300,000 New York state workers and local government workers outside New York City. Samuelsen’s statement was especially out of touch (and not just because there are no Wegmans grocery stores in New York City). TWU’s largest local, which represents transit-system workers in New York City, faced severe penalties under the Taylor Law as a result of the union’s 2005 strike. The union as a whole and individual workers faced heavy fines; the union was forbidden from collecting dues by automatic checkoff for six months, and local president Roger Touissant was sentenced to prison. As recently as 2011, TWU issued press releases declaring New York’s blanket ban on public sector strikes a human-rights violation. One struggles to find a motivation for Samuelsen’s acerbic comments toward Nixon for suggesting the state do away with the ban, other than shortsighted support for Governor Cuomo’s reelection. Ironically, the ban on public sector strikes makes this sort of calculation rational, if craven. Most unions would not dream of cozying up to the boss this way. But with public sector workers denied some of the most powerful tools other workers have, being on the boss’s good side is seen by many union leaders as the easiest way to settle a contract. After decades with very few strikes in the public sector, 2018 has seen public school teacher strikes in Arizona, North Carolina, Oklahoma, and West Virginia, all states where it is illegal for public workers to strike. Teachers also struck in Colorado, where public workers may legally strike. And in California, where public strikes are also legal, 24,000 University of California workers represented by AFSCME 3299 recently went on strike. The other two major public sector strikes of the last two decades were the Chicago Teachers Union strike in 2011 — legal — and the New York City Metropolitan Transit Authority strike of 2005 — illegal, with severe consequences for the union. Public sector workers have shown a recent willingness to go on strike even when it’s illegal. So why should the Left make legalizing public strikes a core demand? First, by pushing candidates to back this demand, the Left can isolate them from the Democratic establishment, who make up a large portion of bosses in the public sector and are therefore unlikely to support giving their workers the right to strike. We saw this theory play out in real time last week. Cynthia Nixon and Julia Salazar, who is running for New York State Senate, have made this plank a central demand and have shown a willingness to confront the party’s centrist leadership. But by pushing candidates to make the legalization of public sector strikes a central part of their labor platform, the Left can force more candidates to develop power from the grassroots to make up for whatever funding and other means of support they lose from the party. Second, the prohibition on strikes contributes to the sad state of many public sector unions — especially in New York. There are many reasons for the decline of militancy and workplace organizing in public sector unions, and many of those factors are beyond unions’ control. But if job action is off the table, one of the few ways public sector unions can defend their interests is to make political deals with officeholders. Such unions are then put in a position where they are afraid to anger the boss, the incumbent politician, by supporting challengers who often advocate more pro-worker policies. Again, we saw this dynamic play out with Samuelsen’s and Donohue’s comments, as well as less colorful comments to the same effect by other union officials. Because their unions are in such precarious positions, these leaders are terrified to get on Cuomo’s bad side. A union that’s afraid to piss off the employer is already fighting with both hands behind its back. By raising this issue, the Left create a clarifying situation where union officials are forced to explain to their members why they support politicians who want to deny them rights. In New York, this situation is exacerbated by the Triborough Amendment, a provision in the Taylor Law mandating that when public sector collective-bargaining agreements expire without a new contract settled, the terms of the previous contract continue. This disincentivizes both sides from conducting difficult and potentially unpopular negotiations and gives union officials little incentive to organize their membership during a contract campaign. This, in part, explains officials like Donohue’s hostility to the idea of giving their members the right to strike. If members could conduct a strike without severe legal repercussions, union officials might have to organize one — or be exposed as unable to do so. However, the Triborough Amendment also gives workers the protections of a union contract during bargaining impasses and prevents the boss from unilaterally dictating new terms. In New York and states with similar provisions, we should be clear that we are demanding the right to strike in addition to and not in lieu of the Triborough Amendment. Even if there is little hope of changing the law in the short term, simply seeing politicians and the media raise the issue may give workers more confidence to break the law and strike anyway. Ultimately what makes a strike successful is not the degree to which it follows the law. Much more important is workers’ enthusiasm, unity, and confidence in their actions. And there is evidence that political campaigns can make a real difference. Politicians have plenty to fear from striking public workers. The public sector remains a comparative bastion of union strength, with unions representing about 38 percent of public sector workers nationwide, compared to about 7 percent of workers in the private sector. In New York state, about 72 percent of public sector workers are in unions, versus 15 percent in the private sector. This year alone, in Arizona, Oklahoma, and West Virginia, striking teachers won major concessions from hostile, right-wing state governments. Reactionary politicians and capitalists from Wisconsin Gov. Scott Walker to the forces behind the Janus case understand the potential power of public unions to advance progressive causes — that is precisely why they have attacked them so viciously. Public sector workers occupy a strategic place in the labor market because so many of their jobs are critical to society’s functioning. That means the potential power of withdrawing their labor is magnified beyond their immediate job site. The recent teachers’ strikes were so effective because school closures forced thousands of parents to significantly alter their routines. The New York City transit strike of 2005 lasted only three days, but because it made transportation across the city extremely difficult, it was estimated to cost the city and businesses hundreds of millions of dollars in lost fares and revenue. And while conditions vary, public sector strikes generally have a lot of public support. One reason for that is from nurses to teachers to welfare workers, better conditions for the people they serve are often among public workers’ core demands. Even when strikes are not linked directly to social demands, a majority of Americans do not support weakening public sector unions. However, for unions, a comparison between the West Virginia teachers’ strike and the New York City transit strike is instructive. West Virginia teachers organized parents and community members for months ahead of the strike. They tied their working conditions to children’s learning conditions, making clear how their demands would benefit virtually everyone. Transit workers did not make such arguments, and support for their strike was nowhere near as high as that of the teachers. Public sector unions have to make clear that when they walk off the job, they are striking to benefit the people they serve as much as themselves. When schools are closed, when buses don’t run, when trash goes uncollected and mail undelivered, it affects not just the employer, but nearly everyone. The pressure on government bosses to settle is therefore extremely high. And when public sector workers strike, they have the power to win transformative victories. From both elected officials’ and union heads’ reaction to Nixon’s right-to-strike proposal, we can see that neither side wants to face this prospect. We should make them. Ben Beckett is a union steward in New York City and a member of New York City DSA.